Families expelled form northern Samaria in 2005 demand right-wing politicians pledge to allow them to return. during the 2005 Disengagement demanded that Prime Minister Binyamin Netanyahu and other right-wing MKs and ministers cancel the Disengagement and allow Jews to return to the destroyed communities of northern Samaria. Under the banner: 'Do you oppose the Disengagement? Then cancel it!' the families called on the leaders of the Likud, New Right, Yisrael Beiteinu, Jewish Home, and National Union parties to add the cancellation of the Disengagement Law to their party platforms ahead of the upcoming elections. A bill was proposed during the previous Knesset to restore freedom of movement for Israelis in northern Samaria, where Israelis were expelled from their home. 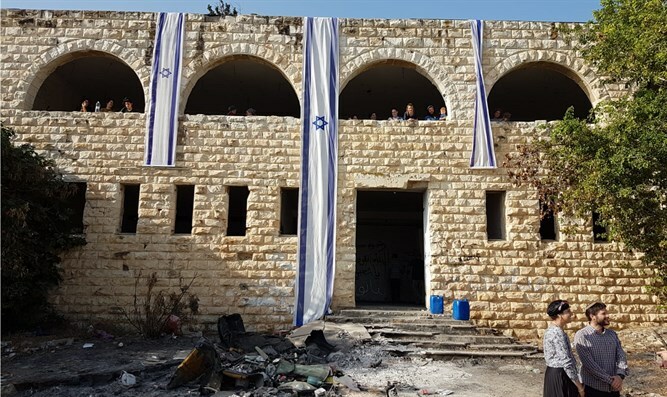 Unlike in Gaza, where the communities of Gush Katif were turned over to the Palestinian Authority after the residents were expelled, the destroyed communities of Samaria remain under full Israeli control. The families stated: "Unfortunately, today, too, when there is unanimity among most of the public regarding the mistake and injustice of carrying out the expulsion, and when it is clear to the entire national camp that there will be no more withdrawals and the handing over of the homeland to those who want to harm us, the Disengagement remains in force. Under the auspices of the Disengagement Law, the northern Samaria area, located in the heart of the country, is still defined as an area forbidden in which the movement and entrance to Jews is forbidden." Benny Gal, one of the leaders of the campaign headquarters, adds, "There is no explanation that in the last government there was not one member of the government who was not willing to say on every stage that the expulsion was folly and a moral injustice, certainly from northern Samaria. And [it is also ridiculous] that [the bill to undo that injustice] has sat in the Knesset for over three years. We know that the national camp is with us, we know that the right-wing parties, and certainly their leaders, are with us. Now is the time for action."